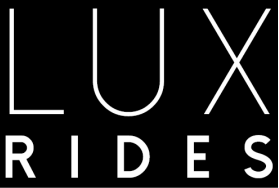 Be it a night on the town, a ride to Sky Harbor PHX Airport, or any special occasion you can rely on Lux Rides to get you where you need to go safely and in style. We specialize in executive transportation for Phoenix, Scottsdale, Glendale, Tempe, Chandler, Gilbert and anywhere else in the Metro Phoenix area. We keep our vehicles in top-notch condition and can offer bi-lingual drivers as well. We are commercially registered, licensed and insured. Our PHX Airport Car Service is top notch, you don't have to worry about parking and our Chauffeurs are always on time. We will get you to PHX Airport safely, on time and in style. If your booking for yourself or booking for Executive airport transportation we make it as easy as possible. We can set up a corporate account for frequent travelers for car service to PHX. Reserve us now for your Special Event such as Proms, Quinceañera or Weddings.